My take on the Alien Brain Hemorrhage. 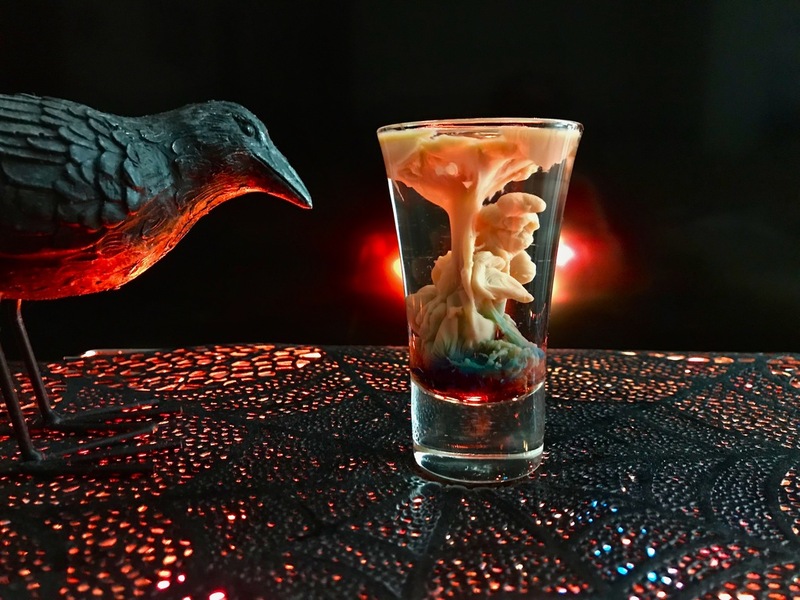 A popular double shot that looks and tastes like Halloween. The mouthfeel of curdled Bailey's Irish Cream only adds to the party. "The cocktail consists of half a shot glass full of peach schnapps, with Bailey’s Irish Cream poured on top. Once the shot is almost full, a small amount of blue curacao is added, and once that settles, a small splash of grenadine tops the drink off." That looks pretty cool, I must admit, and I really like the added affects with the photography.